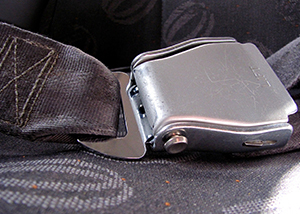 Securing your seatbelt when you get in the car should be second nature to most drivers. Not only is driving without a seatbelt illegal, it can put you at risk of serious injury or even death in the event of a car accident. Remember, you may be a fantastic driver, but it’s the other drivers you need to be worried about. So be sure to secure your seatbelt every time you get into a car, and if driving with passengers, especially children, be sure they secure their belts too! The following are the Rules of the Road in Washington regarding seatbelt use. (g) “Trucks,” meaning motor vehicles with motive power, except trailers, designed primarily for the transportation of property. (5) A person violating this section shall be issued a notice of traffic infraction under chapter 46.63 RCW. A finding that a person has committed a traffic infraction under this section shall be contained in the driver’s abstract but shall not be available to insurance companies or employers. If you’ve been injured in a car accident in or around Spokane, contact Parke Gordon Law Firm to handle your case. Our experienced and trusted personal injury attorneys will fight for every penny you are owed. Call now for a free consultation at (509) 482-7274.